Population health is by no means an easy task in healthcare today. It takes innovative thinking to pull off a successful population health management program – and that can be as true when it comes to innovating workflows and processes as it is implementing new technologies. Take the cases of Robert Wood Johnson Medical Center and NYU Langone as two examples. Rutgers’ Robert Wood Johnson Medical School in New Brunswick, New Jersey, and NYU Langone Health in New York have innovated to boost their respective population health efforts by using social determinants of health and digital health tools to engage patients outside of office visits. We interviewed executives at each to understand their insights and examples of how they’ve accomplished population health goals. For the Robert Wood Johnson Medical School, the challenge of how it connects with patients beyond the hospital or office visit has been a fundamental issue in improving the quality of care, particularly at the primary care level. In its patient-centered medical home, the ratio of care coordinators to high-risk patients is about 1-to-500, which is fairly typical for any patient-centered medical home or accountable care organization. Managing and conducting outreach to that size of a population is not only demanding, but also can be frustrating because people aren’t home and the provider ends up playing phone tag. The tool, CAREMINDr, allows clinicians to communicate and share data with patients through their smartphone or other mobile device, including results from tests patients take at home with monitoring devices for blood pressure, blood sugar and others. The data then is automatically analyzed and reported to the provider’s care coordinators. Directly through the platform, patients can access reliable, validated educational information from the Rutgers website, he added. Also, when they enter results from tests taken at home, they see their improvements on their app, he said. Through this feedback loop, patients are more engaged in their care because the technology is connected with their physician. It’s not an activity tracker or similar device that doesn’t offer any relationship or accountability. In an effort to improve prevention and screening for cancer and chronic illness, NYU Langone Health has developed a new workflow that allows its providers to improve performance with closing care gaps. Patients are able to complete testing prior to or upon the next visit. This new process has been in place for about two months but already is looking more favorable than the provider’s historical approach, which depended on caregivers knowing of outstanding care gaps and ordering testing, Mann added. Also, about a year ago, NYU Langone piloted a new process around assessment and referral for social determinants of health in its Federally Qualified Health Centers. The physician is able to review screening results and with one click make a referral to centralized social work resource. The social worker also can view the screening results, make appropriate referrals, and document outcomes in the EHR. 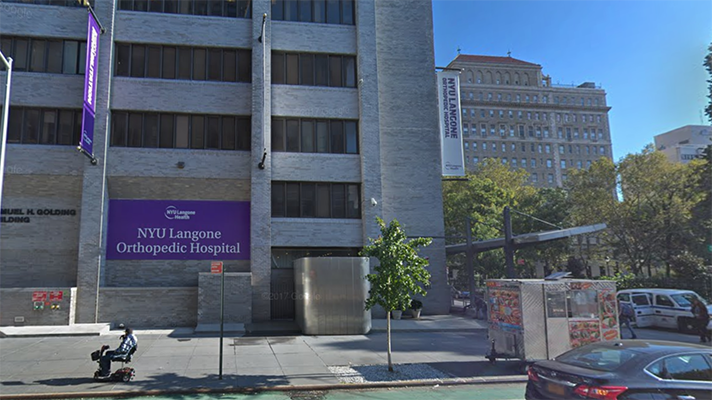 Both NYU Langone and Robert Wood are moving forward with their population health programs. Tallia said the work to date has served as excellent preparation for the Robert Wood team. “I would expect that commercial insurance carriers will jump on board with similar population health programs as CCM continues to demonstrate better outcomes,” Tallia added. NYU Langone’s Mullaly said the team there is moving the initial pilot into all of its sites after starting in an adult and pediatric clinic.